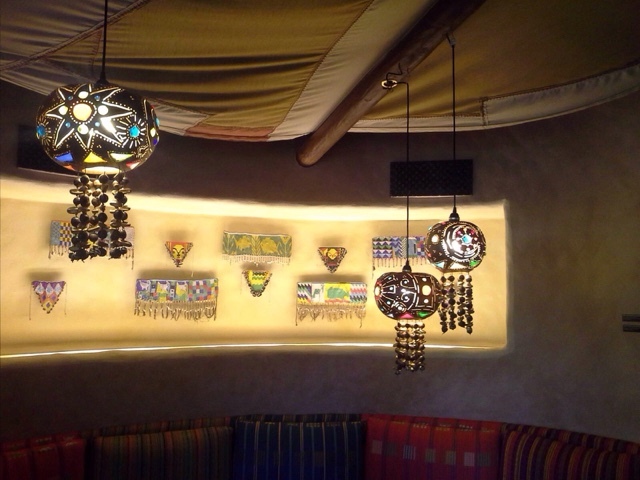 Sanaa is one of the most beautiful restaurants in all of Disney World. And it is one of the most richly themed ones as well. It uses its decor to tell the story of its menu. The menu, you see, is a mix of African and Indian (mostly Indian) cuisines. And the theme is of an East African market where spices from the Indian subcontinent are imported. The theme itself starts at the front desk. There are large clay pots, typically used for trade. Behind the counter, you see a large display of trays. These, too, are used in markets. Inside the restaurant, you are in an open aired market. if you look up, the ceiling is designed to look like you are under the canopy of trees. Hanging from them are lights that look like weaver bird nests, a common species in that part of the world. 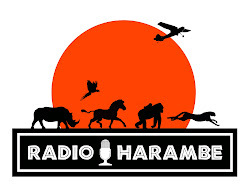 This is the only restaurant at either lodge with animal viewing. Large floor to ceiling windows are there for you to see some the critter on the savanna such as giraffe, zebra, ankole and even the crowned cranes who seem to love sitting close to the windows. On the walls, the theme continues. The word "Sanaa" means "work of art." 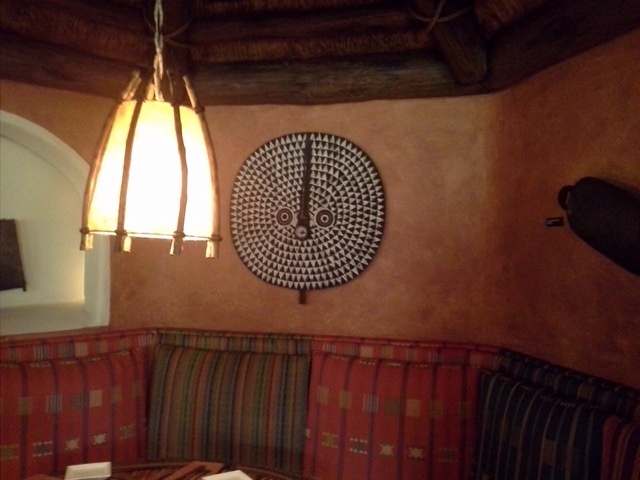 And they are not kidding, the walls are adorned with all sorts of artifacts from Africa. Including quite a few necklaces, which of course is what the word "Kidani" means in swahili. 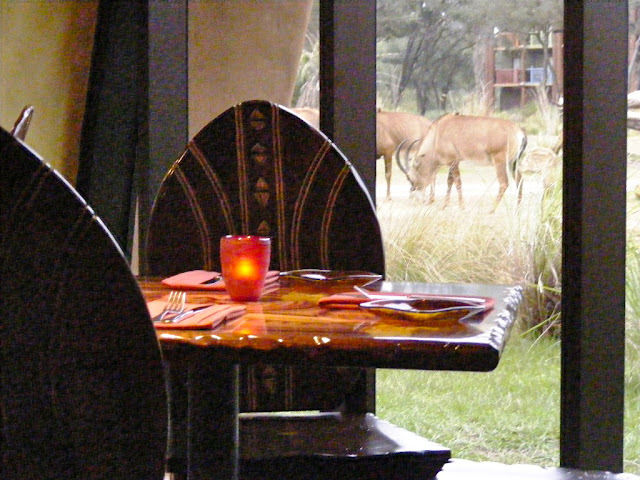 We often talk about how much we love the tours at Disney's Animal Kingdom lodge. If you take wither the Sanaa cultural tour or the African Inspired Disney Designed tours at Kidani then will give you a detailed look at the place. The difference is for the Sanaa specific tour you get a talk from a cook and free food. The other tour will take you to other sections of the lodge.